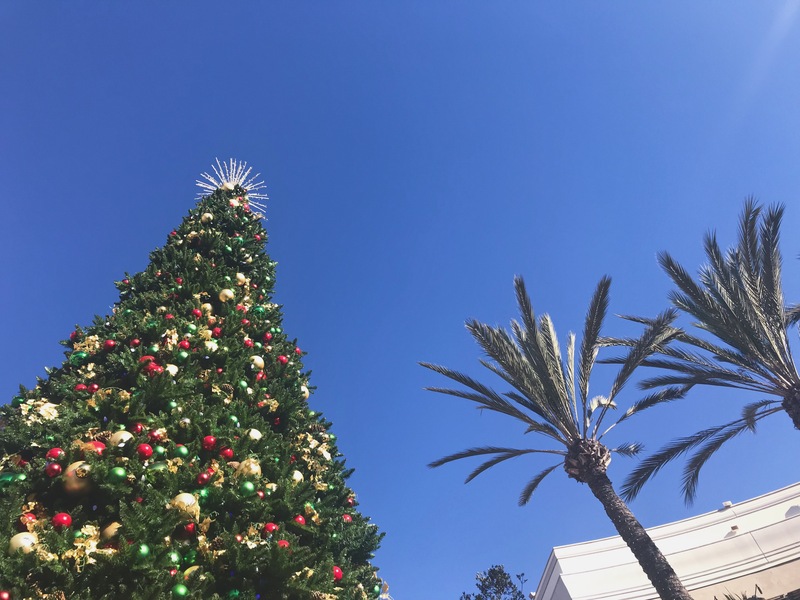 Christmas Tree Hunting / After years of getting our tree at Home Depot, last year we found the sweetest little family-run tree lot in Pacific Beach, and we are hooked. They serve hot chocolate and give you a free tree stand if you promise to come back the next year. Christmas Lights / There is a street block in our neighborhood where every single house is decked to the max with lights and decorations. What began as one of our very first dates years ago, has become a tradition every single December. We get a hot drink to sip and enjoy all the spectacular displays. Saltine Toffee / Our go-to holiday treat I make for friends, family, and neighbors. Green Chili Sausage Bake / The Mr requests this family dish for Christmas morning every year (here’s a recipe similar to the one we follow). Nutella Bread Pudding / I found this recipe last year, and it is AMAZING. Just like the dish above, it can be assembled the day before and popped in the oven on Christmas morning. We fry up some bacon on the side, add mimosas and coffee, and we’re sufficiently stuffed! Advent Calendar / Now that we have little ones who can start to grasp the meaning behind why we’re celebrating, we’re on the lookout for a meaningful Advent activity (apart from our typical chocolate calendar, which we love). Devotional / We just got this Christmas devotional and it’s been a wonderful way to start each day, remembering to stay grounded and present in this season’s purpose. When my Boy was little, he always got one present to open on Christmas Eve–often a movie, that we’d all watch together in the glow of the tree. I hope you and your family have a wonderful Christmas and all the best in 2018.